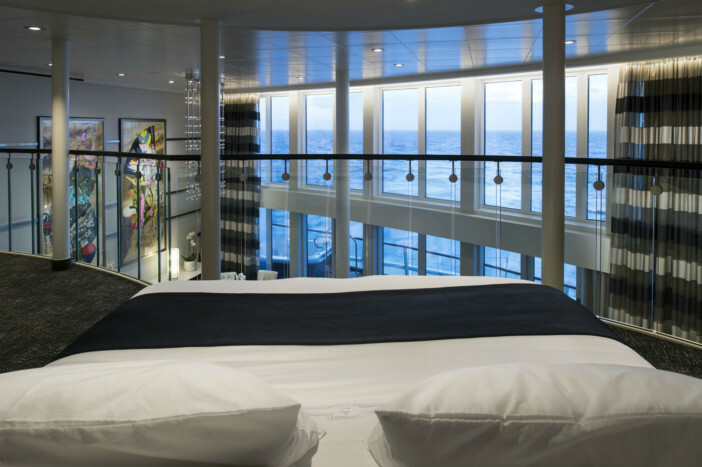 You are at:Home»Cruise Tips»What is a Guaranteed Cabin and Should I Book One? When you’re booking a cruise, you may come across the option to book a Guaranteed Cabin. But, what is a guaranteed cabin? And would you be better off booking one? Here, Emma from Cruising Isn’t Just for Old People explains exactly what a guaranteed cabin is, and their benefits. A guaranteed cabin is a cabin booked without a specific cabin allocation. Booking a guaranteed cabin, for example a guaranteed inside will ensure that you receive a cabin in that category or higher. Your cabin will be allocated to you prior to your cruise but you have no say on the cabin’s position or deck. This contrasts with booking an assigned cabin where you can choose the specific cabin when booking. Guaranteed cabins are usually booked for two reasons: a lower price and the possibility of an upgrade. What are the Benefits of Booking a Guaranteed Cabin? If you’re about to book a cruise, and are unsure whether or not to opt for a guaranteed cabin, check out the range of benefits. Guaranteed cabins will usually sell at a slightly lower price than equivalent cabins within the same grade due to the uncertainty of cabin location. This price reduction is one of the main motivators for passengers to book a guaranteed cabin, on almost all cruise lines, guaranteed cabins are cheaper than similar assigned staterooms. Crystal, Disney and Holland America Line are exceptions to this rule, the only incentive to book a guaranteed cabin on these cruise lines is the suspense of having an unassigned cabin, and of course, the possibility of an upgrade. Booking a guaranteed cabin guarantees you at least a cabin in the category which you have booked, it is possible to be upgraded to a higher category meaning that a person booking a guaranteed outside cabin could easily end up with a balcony cabin at no extra cost. It may be the case that a cruiser with a higher rewards status on a cruise line will be upgraded first, but a passenger in a guaranteed cabin is still more likely to be upgraded than a passenger in an equivalent assigned stateroom. Are You Likely to Get Upgraded? There is no way to predict the likelihood of an upgrade and it is by no stretch of the imagination guaranteed. It is imperative that you are happy with the grade you have booked as there is a very high probability this is where you’ll stay. 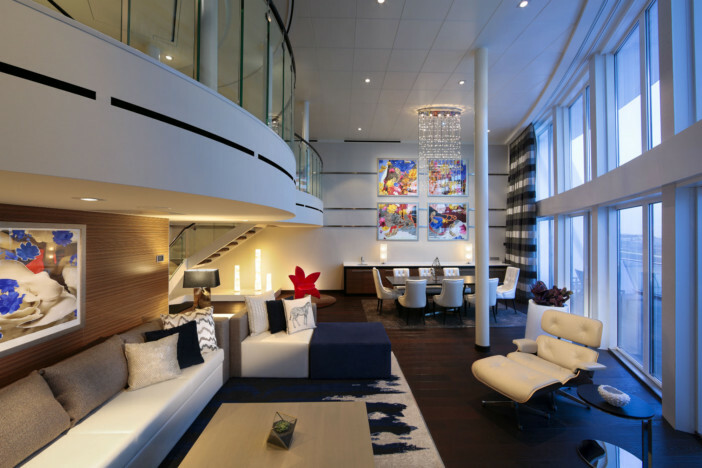 The possibility of an upgrade is controlled by the demand for staterooms from other cruisers. If the cabin category you have booked is full then you may be upgraded to the next category. Similarly, if the cabin category one higher than the one you have booked is undersold then you may be upgraded. Are There Any Ways to Increase Your Chance of an Upgrade? Hedge your bets with these helpful tips to increase your chances of being the lucky recipient of a free upgrade. If you are dreaming of an upgrade to a balcony, book an outside cabin. 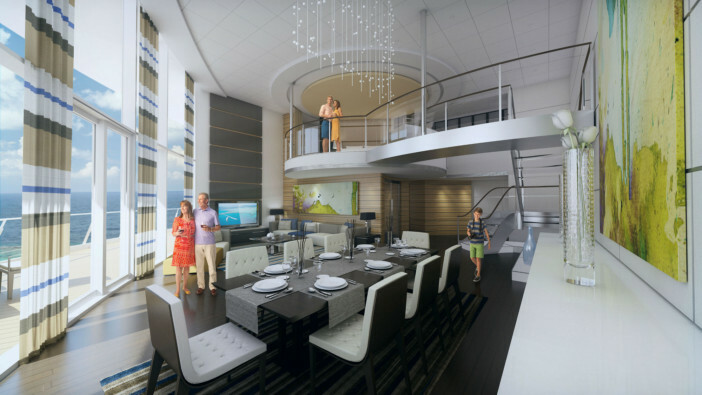 When considering cabins for a balcony upgrade, the cruise line would be more likely to upgrade an outside cabin to a balcony cabin than an inside. An upgrade from an inside to a balcony would be a double upgrade. Booking at less popular times of the year, avoiding school holidays for example, should increase the number of unoccupied cabins. An increase in the number of unoccupied cabins is an increase in the potential number of passengers that the cruise line could upgrade. Less popular routes such as repositioning cruises can increase your chances of an upgrade. If travelling around a destination where bad weather is possible your chance of a balcony upgrade may increase as fewer passengers will be booking this category. If the cruise line had two passengers in a guaranteed outside cabin and had one balcony upgrade available, they would be more likely to give the upgrade to the passenger with the higher loyalty status. It is worth joining any loyalty programme from your first cruise with a cruise line to take advantage of all perks and offers available. It is also worth seeing if the cruise line you are travelling with offers a ‘status match’ programme such as MSC Cruises who will match any loyalty status from another cruise line. When is a Guaranteed Cabin Usually Assigned? Your cabin may be assigned almost instantly even if this is months prior to your sail date. It is equally possible that your cabin will only be assigned a few weeks or even days before you sail. Although unlikely, it is not unheard of to have a guaranteed cabin allocated on the day of departure. It is unlikely, but still possible, that your cabin may be changed after it has been allocated. Rarely are cabins moved within the same grade but it is possible to receive a last-minute upgrade to a different category. What are the Drawbacks of Booking a Guaranteed Cabin? The main risk of booking a guaranteed cabin is that you will receive the grade that you paid for. The location of the cabin may not be ideal, leaving you with a cabin at the back/front of the ship and possibly on a lower deck. If you are booking multiple guaranteed cabins then it is likely that your cabins will be on different decks/sides of the ship. Cruise lines will usually do all they can to accommodate group bookings but it is rare to be able to achieve guaranteed staterooms close to/or next to each other. Is it Worth Booking a Guaranteed Cabin? The decision to book a guaranteed cabin depends completely on what you want from your cruise. If money is your main motivator and you are not too bothered about the location of your cabin then a guaranteed cabin can be a brilliant way to save some money. The possibility of an upgrade can be enough to tempt some passengers but it is always important to consider ‘would I be happy with the cabin category I have booked?’ if the answer is “no” then a guaranteed cabin isn’t for you. Many love the suspense of an unassigned cabin, but although there is an increased probability of an upgrade, it is by no stretch of the imagination, guaranteed. Now you know the benefits of a guaranteed cabin and how best to seek a free upgrade, why not see if Cruise1st UK have a deal to suit you? Browse the full range of itineraries online or call our friendly sales team on 0808 274 6777. Emma from Cruising Isn't Just for Old People takes time to explain exactly what a guaranteed cabin in, and the benefits of this booking option.